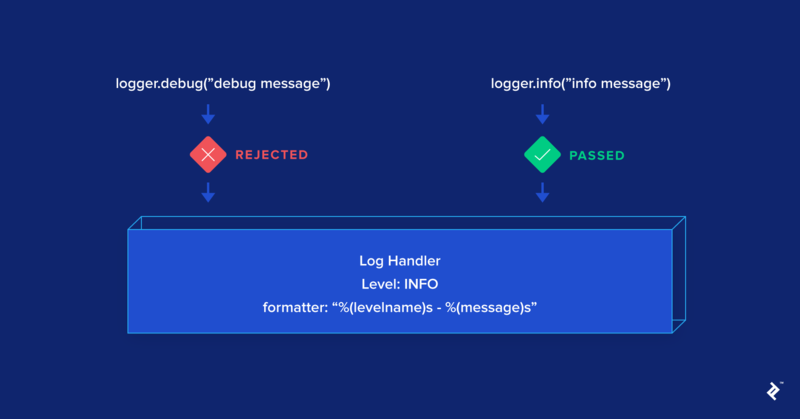 As applications become more complex, having good logs can be very useful, not only when debugging but also to provide insight for application issues/performance. The Python standard library comes with a logging module that provides most of the basic logging features. 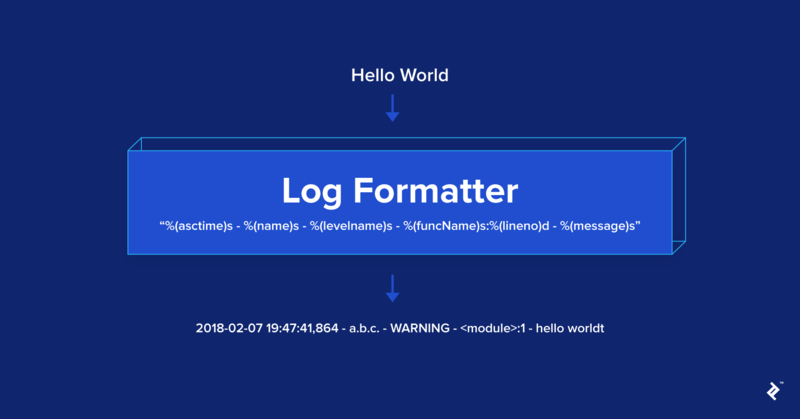 By setting it up correctly, a log message can bring a lot of useful information about when and where the log is fired as well as the log context, such as the running process/thread. Despite the advantages, the logging module is often overlooked as it takes some time to set up properly and, although complete, in my opinion, the official logging doc at https://docs.python.org/3/library/logging.html does not really give logging best practices or highlight some logging surprises. This Python logging tutorial is not meant to be a complete document on the logging module but rather a “getting started” guide that introduces some logging concepts as well as some “gotchas” to watch out for. The post will end with best practices and contain some pointers to more advanced logging topics. This section gives an overview on some concepts that are often encountered in the logging module. The log level corresponds to the “importance” a log is given: an “error” log should be more urgent then than the “warn” log, whereas a “debug” log should be useful only when debugging the application. There are six log levels in Python; each level is associated with an integer that indicates the log severity: NOTSET=0, DEBUG=10, INFO=20, WARN=30, ERROR=40, and CRITICAL=50. All the levels are rather straightforward (DEBUG < INFO < WARN ) except NOTSET, whose particularity will be addressed next. The log formatter basically enriches a log message by adding context information to it. It can be useful to know when the log is sent, where (Python file, line number, method, etc. ), and additional context such as the thread and process (can be extremely useful when debugging a multithreaded application). 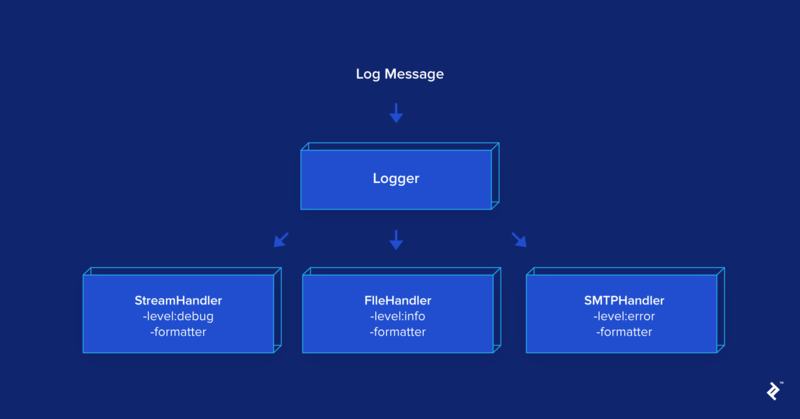 The log handler is the component that effectively writes/displays a log: Display it in the console (via StreamHandler), in a file (via FileHandler), or even by sending you an email via SMTPHandler, etc. A formatter which adds context information to a log. A log level that filters out logs whose levels are inferior. So a log handler with the INFO level will not handle DEBUG logs. Propagate: Decides whether a log should be propagated to the logger’s parent. By default, its value is True. A level: Like the log handler level, the logger level is used to filter out “less important” logs. Except, unlike the log handler, the level is only checked at the “child” logger; once the log is propagated to its parents, the level will not be checked. This is rather an un-intuitive behavior. Handlers: The list of handlers that a log will be sent to when it arrives to a logger. This allows a flexible log handling—for example, you can have a file log handler that logs all DEBUG logs and an email log handler that will only be used for CRITICAL logs. In this regard, the logger-handler relationship is similar to a publisher-consumer one: A log will be broadcast to all handlers once it passes the logger level check. As you might have guessed, loggers have a hierarchy. On top of the hierarchy is the root logger, which can be accessed via logging.root. This logger is called when methods like logging.debug() is used. By default, the root log level is WARN, so every log with lower level (for example via logging.info("info")) will be ignored. Another particularity of the root logger is that its default handler will be created the first time a log with a level greater than WARN is logged. Using the root logger directly or indirectly via methods like logging.debug() is generally not recommended. However, the logger uses the “dot notation,” meaning that a logger with the name “a.b” will be the child of the logger “a.” However, this is only true if the logger “a” has been created, otherwise “ab” parent is still the root. When a logger decides whether a log should pass according to the level check (e.g., if the log level is lower than logger level, the log will be ignored), it uses its “effective level” instead of the actual level. The effective level is the same as logger level if the level is not NOTSET, i.e., all the values from DEBUG up to CRITICAL; however, if the logger level is NOTSET, then the effective level will be the first ancestor level that has a non-NOTSET level. By default, the logger level will be used to decide of the a log passes: If the log level is lower than logger level, the log will be ignored. Configure the root logger but never use it in your code—e.g., never call a function like logging.info(), which actually calls the root logger behind the scene. If you want to catch error messages from libraries you use, make sure to configure the root logger to write to a file, for example, to make the debugging easier. By default, the root logger only outputs to stderr, so the log can get lost easily. To use the logging, make sure to create a new logger by using logging.getLogger(logger name). I usually use __name__ as the logger name, but anything can be used, as long as it is consistent. To add more handlers, I usually have a method that returns a logger (you can find the gist on https://gist.github.com/nguyenkims/e92df0f8bd49973f0c94bddf36ed7fd0). Use RotatingFileHandler classes, such as the TimedRotatingFileHandler used in the example instead of FileHandler, as it will rotate the file for you automatically when the file reaches a size limit or do it everyday. Use tools like Sentry, Airbrake, Raygun, etc., to catch error logs automatically for you. This is especially useful in the context of a web app, where the log can be very verbose and error logs can get lost easily. Another advantage of using these tools is that you can get details about variable values in the error so you can know what URL triggers the error, which user is concerned, etc. 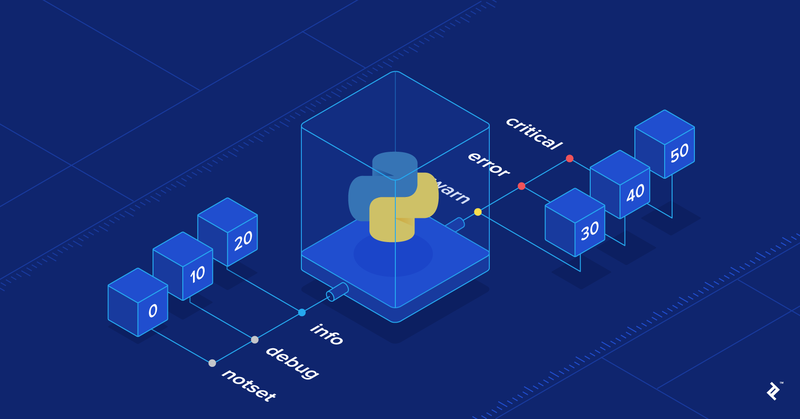 If you’re interested in more best practices, read The 10 Most Common Mistakes That Python Developers Make by fellow Toptaler Martin Chikilian. What is a debugging tool? What is the debug log? This is simply the output of the program, a better version of “print” in layman’s terms. In the context of a web application, this log usually contains the incoming request information such as request path, request time, HTTP status, etc. What is “logging” in Python? Logging is a module in the Python standard library that provides a richly-formatted log with a flexible filter and the possibility to redirect logs to other sources such as syslog or email. What is the Python debugger? The most popular python debugger is pdb. There are currently some projects working to improve the usability of pdb by providing tab-completion, color syntax, code browsing or remote debugging. These projects include ipdb, pudb, and wdb. There are also some IDE-specific debuggers such as the pydev engine or PTVS.